Astro Lords participated in game developers conference White Nights 2014 www.wnconf.com , which took place in St. Petersburg 26-27th June. Made a lot of interesting and useful meetings, which opens new business opportunities for Astro Lords distribution. Everyone, who came to Astro Lords stand in Developers area, were awarded by gifts and souvenirs. Thanks to the organizers of the conference and to Astro Lords fans! 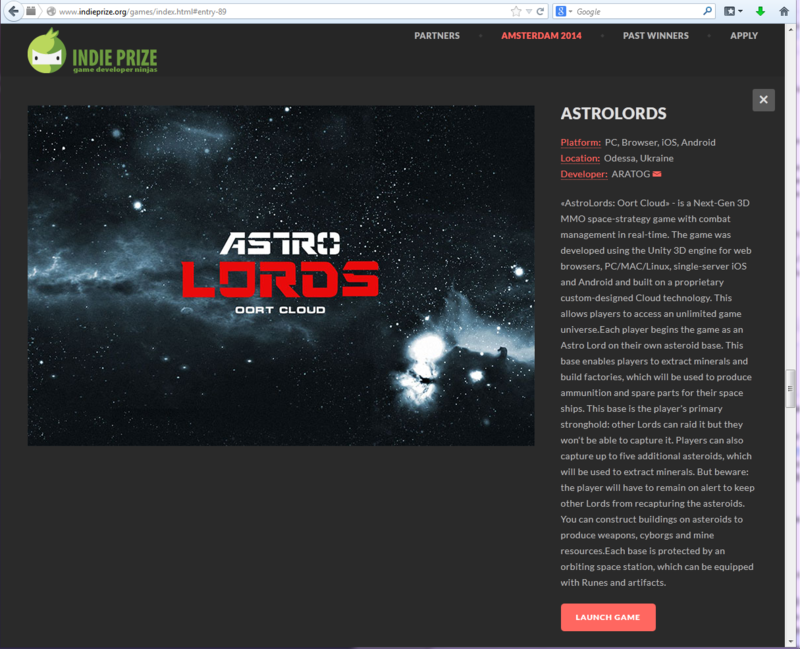 Great news - Astro Lords were chosen for Indie Prize Showcase Amsterdam during Casual Connect Europe 2014! So everyone is invited, come and meet us in person!